President of the Senate, Dr. Abubakar Bukola Saraki, on Saturday, commended the Nigerian armed forces and President Muhammadu Buhari for the success of Operation Lafiya Dole in the notorious Sambisa Forest. 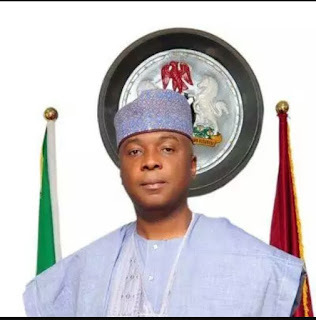 Saraki, in a statement issued by his Special Adviser on Media and Publicity, Mr. Yusuph Olaniyonu, expressed delight at the news of the defeat of Boko Haram in Sambisa, stating that it was a great way to wrap up an eventful year. The Senate President said: “The news of the Nigerian Army defeating Boko Haram in their most dominant stronghold is truly gratifying. This is a gift to all Nigerians as we enter this festive season and round up this year. “I want to congratulate President Buhari for his leadership, and his dedication to crushing the insurgency in the country. I want to also commend the Nigerian people for believing in our men and women in uniform, and supporting them and their families through prayers and goodwill messages. “Of course, more work needs to be done to stamp out the remnants of Boko Haram that may be hiding amongst us, however, the downfall of the notorious “Camp Zero” in Sambisa is something that we must all celebrate at this time.